Remove all drawers, knobs, handles, hinges and any protruding parts before beginning. Ensure to make a note of where they all go so you can put them back together when you’re done! Wipe down all items with a damp cloth to clean and remove any dirt or cobwebs. For a small surface area, an aerosol paint stripper will work well and is makes it easy to coat the entire surface. Once you have sprayed the whole surface, leave to sit for 10 minutes then start to scrape off with a scraper tool, making sure to wipe the blade after each go. Respray stubborn areas to soften the paint again. 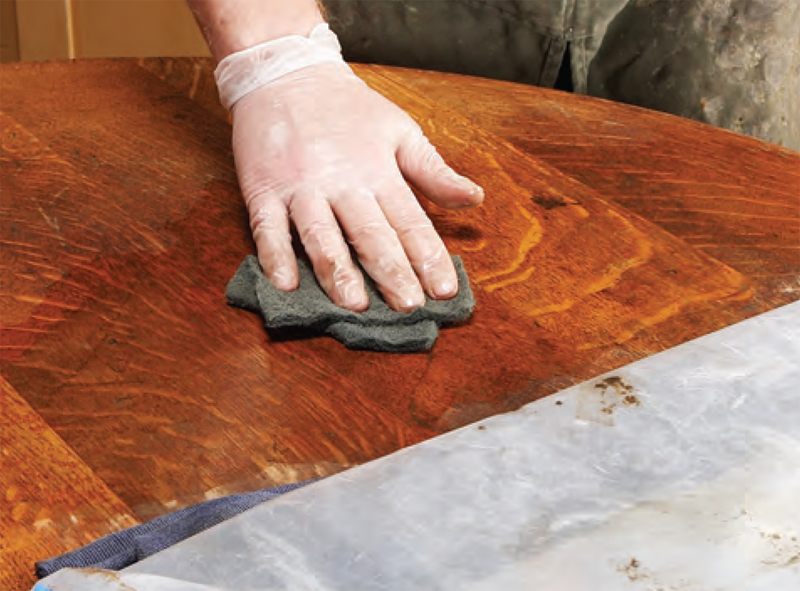 Wipe clean with a fresh cloth soaked in spirits then, once dry, use a hand sander before cleaning and staining. 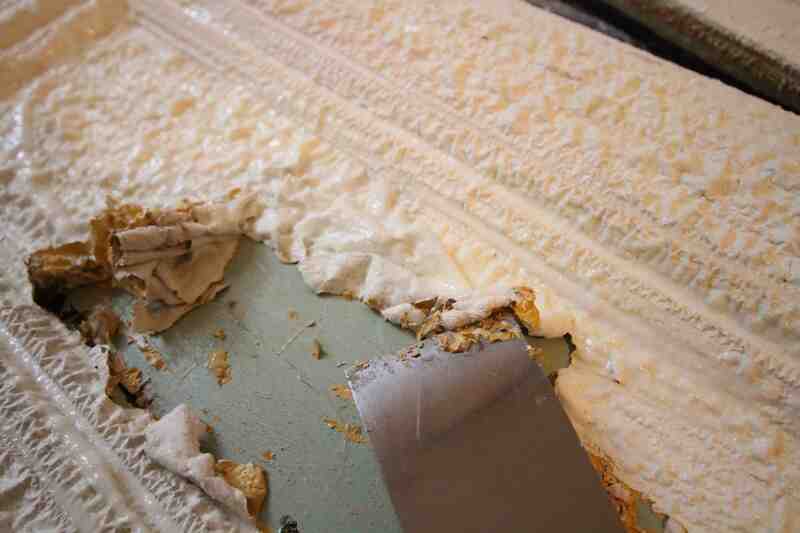 After stripping the furniture a power sander is your only-man to smooth down the surface. They will cut your work time right down and can use a variety of sandpaper discs depending on how rough your wood is and how smooth you want it. Shellac and lacquer have a clear finish and are the easier finishes to remove yourself. It’s advisable to test the finish before starting so you know what you’re dealing with and what stripper to use. A shellac finish will liquefy while a mixture of shellac and lacquer will soften without dissolving. You may need to use denatured alcohol for shellac, lacquer thinner for shellac, and 50-50 mixture of denatured alcohol and lacquer thinner for a combination finish. Old finishes and paint stains under shellac will require a more heavy-duty paint stripper from your local hardware store. Check which remover or stripper you are using as some are wash-away and some non-wash away. The non-wash away stripping agents are ones that you would scrape off with a scraper or steel wool, wiping with a dry cloth as you go and taking care not to dent the surface. A wash-away agent requires water applied with a brush and medium-fine steel wool to scrape away. Dry the wood with a towel after and let air-dry for 24 hours before continuing. Make sure to wear eye protection, rubber gloves and long sleeves as if the stripping agent gets on your skin it can burn.